Straighter smiles look wonderful, but they also function better and have lower risk for tooth decay and damage. However, many patients believe that traditional bracket and wire braces are the only treatment option available. 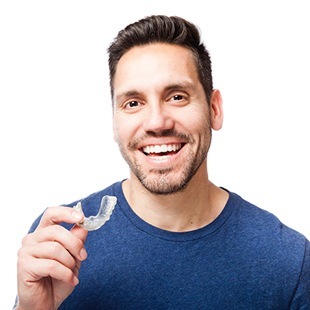 At Bal Dental Centre, we offer Invisalign clear braces to straighten smiles without any of the hassles associated with traditional orthodontic options. If you live in or around Scarborough, we encourage you to call our office to learn more about Invisalign clear braces. On this page, you’ll find answers to some of our Scarborough Invisalign frequently asked questions. Invisalign is an alignment tray orthodontic treatment that shifts teeth into their ideal position over the course of about twelve weeks. This alignment tray braces system allows patients to comfortably achieve their desired smile alignment results. 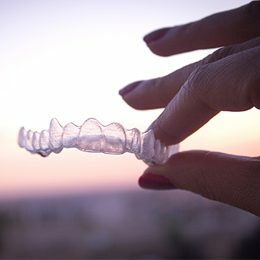 Invisalign uses a series of clear alignment trays to place pressure on teeth gently shifting them into their proper position. 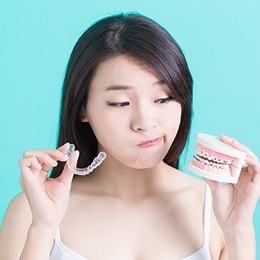 Traditional braces achieve the same results by using wires to put pressure on brackets affixed to the fronts of teeth turning, moving, and realigning each individual tooth. 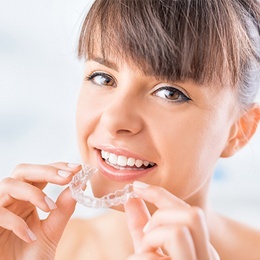 Each set of Invisalign trays represents the smile one step closer to the desired end result. When worn for about two weeks at a time, the consistent pressure on your teeth will move them into this new position. Then, you exchange the current set of aligners for the next set in the series. You’ll need to visit our office every six to eight weeks to make sure your smile is moving according to plan. In most cases, Invisalign takes between eight and eighteen months. This is significantly less time than traditional braces. Additionally, you’ll save time throughout your treatment with fewer, shorter checkup visits. If your insurance plan provides benefits for orthodontic treatment, you can usually receive the same coverage for traditional braces or clear braces. Before we begin treatment, we’ll review your insurance policy and help you maximize any insurance coverage and minimize your out of pocket treatment costs. Even if you use Invisalign clear braces to straighten teeth, you’ll still need to wear a retainer. Following smile alignment, your supportive bone and soft tissue will need time to reset to hold your smile in its new alignment. In order to ensure this happens and prevent your smile from shifting back out of position, you will need to wear a retainer. Luckily, we can usually offer clear retainers that will look just like the Invisalign trays you are already used to.